Did Klaus Tennstedt conduct much opera in the UK? I don't think he did, which makes this release, from the London Philharmonic Orchestra's own label, so valuable. 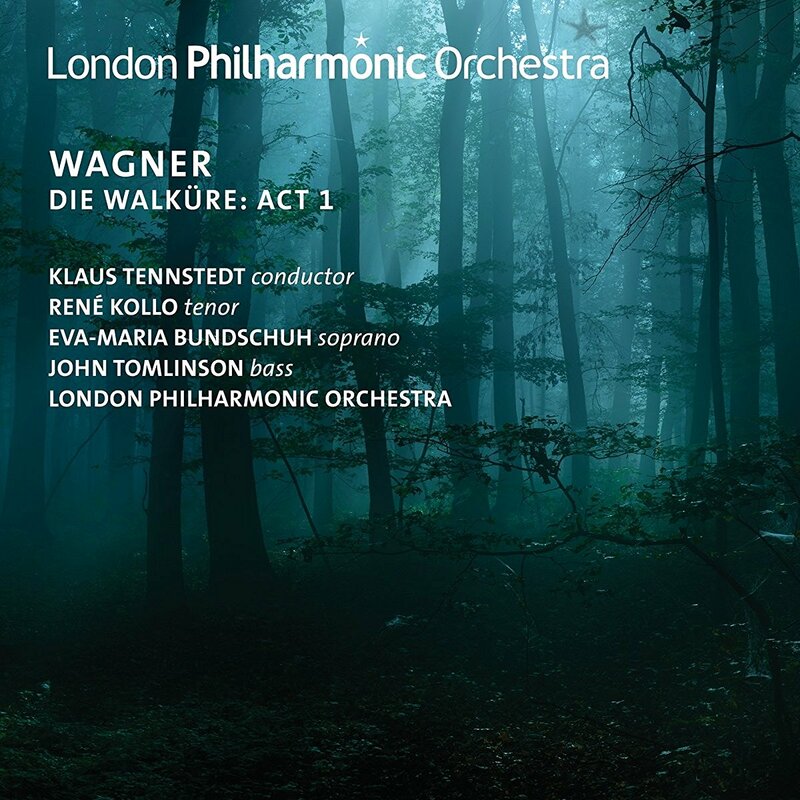 Recorded live at a pair of concerts in October 1991, Tennstedt conducts the London Philharmonic Orchestra (LPO) in Act One of Wagner's Die Walküre, with Eva-Maria Bundschuh, René Kollo and John Tomlinson. The recording from the LPO archives has scrubbed up well, you suspect that the Royal Festival Hall made a better recording studio than concert hall. This is more than just a record of a great occasion. It is that of course, but it is also a terrific performance. I wasn't there, but could have been of course, and having heard this recording I regret that I wasn't present. Tennstedt starts the piece at a lively tempo with great impetus, an indication of the drama to come, but not of his overall approach. He takes a steady view of tempi, but this doesn't mean a lack of drama and tension. Tennstedt's approach is very sculptural when it comes to phrasing, profoundly poetic and bringing out the pregnant nature of the dialogue, with a constant feeling of a taut argument. And Tennstedt keeps a firm hand on the larger architecture, so the piece never flags and you are aware of the greater structural whole. It helps that Tennstedt has three experienced Wagnerians as soloists, singers whose familiarity with the roles means they have no trouble responding to Tennstedt's direction. 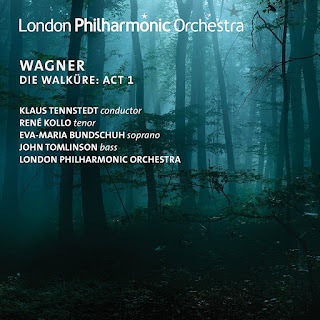 René Kollo brings intense, bright focused tone to bear on Siegmund, shaping ringing phrases but with a slight sense of instability in the voice under pressure. This brings a vulnerability and a feeling that Siegmund is older (Kollo was after all an experienced Siegfried). Winterstürme is steady yet vibrant and passionate rather than impulsive, and sung with a lovely sense of line. Eva-Maria Bundschuh has a warmly flexible voice, one which rises to the heroic challenge when needed. Definitely a Sieglinde rather than Brünnhilde caught slumming. Bundschuh has a lovely warm feminine tone which suits Sieglinde just right. And when she joins Kollo in the duet after Winterstürme she really ratchets up the tension. For all his remarkable sequence of Wotans and Wanderers, it is as Hunding and as Hagen that I think John Tomlinson was at his greatest. Here he brings that implacable black voice to bear, combined with a great sense of the text. All three singers bring out the words, and Tomlinson seems to really relish his. We get a virile and vibrant orchestral climax to the piece, rightly crowning the LPO's performance. not in the pit but on stage so that it rightly takes equal place with the soloists, and responds finely to Tennstedt's direction. He was principal conductor from 1983 to 1987, and conductor laureate thereafter, and he retired from conducting in 1994. This is definitely desirable for the library shelves. Not the ultimate performance, but a vividly dramatic moment in operatic history.